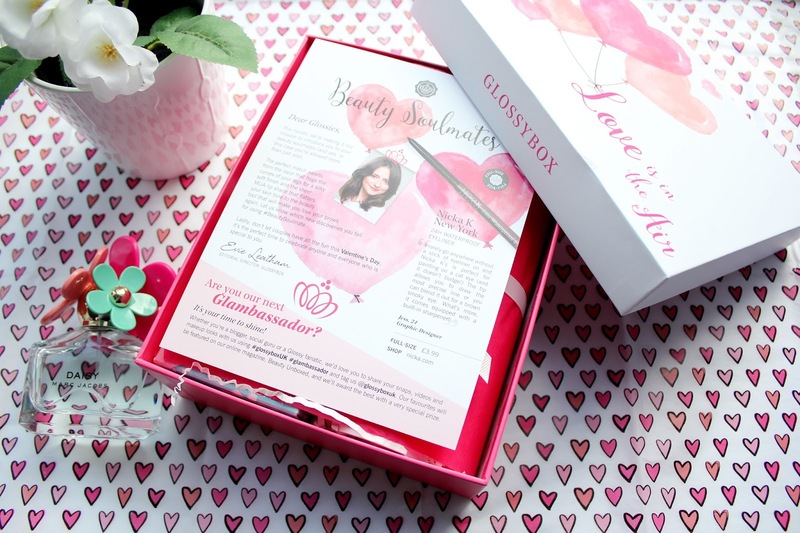 Glossybox February Beauty Box* If there's one thing that I look forward to each month it's my Glossybox delivery. I have always found some really amazing beauty products through Glossybox. 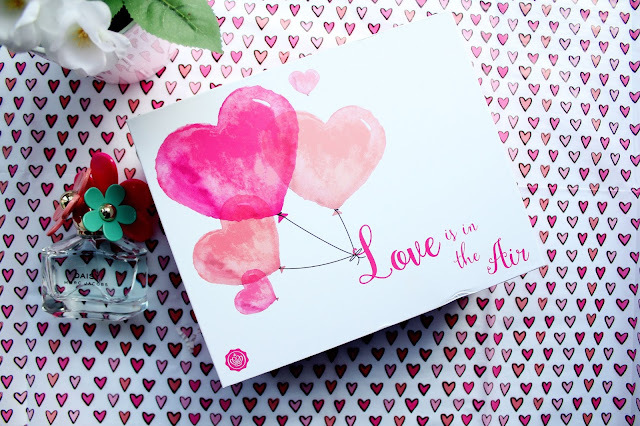 This month's box is very valentines themed (sorry this post is up a little late!) and it reflects all the must have essentials you'll need to make yourself feel super glam for an evening out with a loved one. 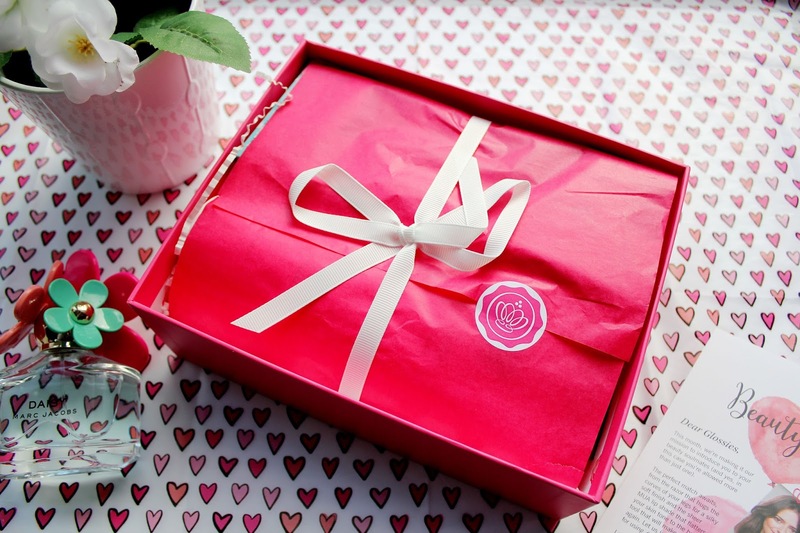 Another thing I love about Glossybox is that it feels like a present to yourself each month (and who doesn't love that) Glossybox always includes full size products which makes subscribing to this box even better value. 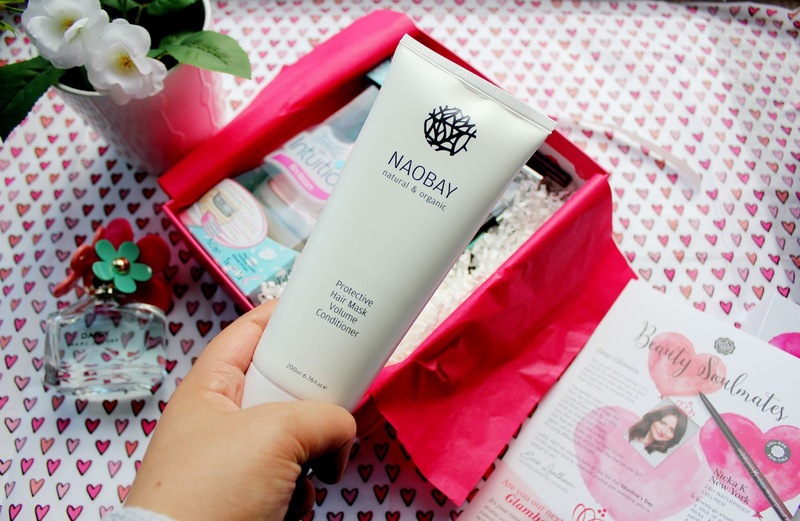 Naobay Protective Hair Mask Volume Conditioner - Full size £10.64 I've already tried this and it's well worth trying out. I love using hair masks and this one made my hair feel nourished and silky smooth. 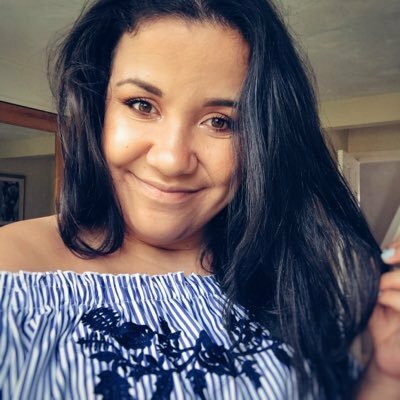 Last months Glossybox included an orange juice hand cream from Naobay and that's become an everyday staple for me so I can confirm Naobay products are well worth trying out! I think this is a great product for lip gloss fans and girls who like to stay glamorous on the go. This gloss has a hint of colour in and it's perfect for if you're going for a more natural but still put together look. 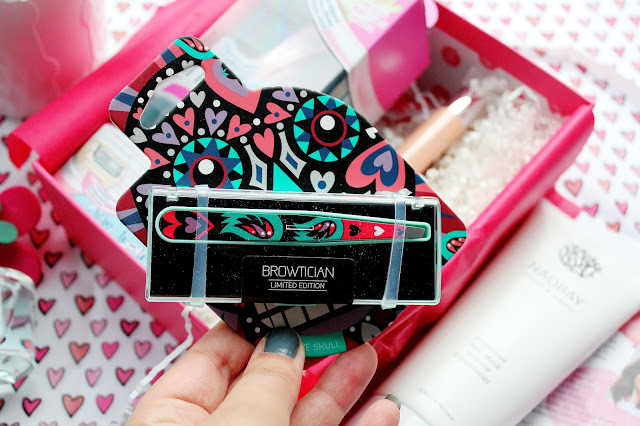 I've never heard of the brand Browtician before but this is a great set of tweezers. I find whenever i'm busy and on the go (there's always a loose eyebrow hair that needs plucking once I'm out the house) and so this set is living in my handbag! I've never seen a razor like this before. My current favourite razor is the venus snap as it's so handy and easy to use but this razor from Wilkinson Sword acts as a soap and a shaver so if you're looking for a two in one product, this razor is for you. Once you've given your hair some TLC with the Naobay hair mask and shaved your legs with the Wilkinson Sword it's onto the make-up. This product from Nicka K is great if you want to go for a more daring night time look and I'll tell you one thing this liner does not budge so it's best to use an eye make up remover when taking this off. The box itself looks so pretty! I love the design on those tweezers!